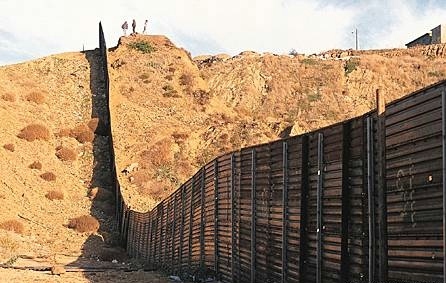 Tracing back to 2010, there has been a deep controversy in the state of Arizona in terms of their immigration policies. The law known as SB 1070 was written up by Jan Brewer, the governor of the state. The law would make it the duty of police officers to help track down illegal immigrants and deport them to their countries of origin. President Barack Obama and other leading Democrats were furious with the ideas presented by Brewer. They said that only federal officials should have the authority to determine who is a legal citizen of the United States and who is not. In addition, there was an intense disapproval of the idea of giving police officers in the state the authority to question and investigate any person that they suspected might be an illegal immigrant to America. Under the law, even when individuals were apprehended for other crimes or offenses, their citizenship would be investigated if it were believed by the officer that the person might be an illegal immigrant. Three judges from the United States Court of Appeals for the 9th Circuit ruled in agreement with the United States Justice Department and blocked the law signed by Brewer. It was originally in San Francisco that the case began. This week, judges John Noonan, Richard Anthony Paez, and Carlos Bea finalized the ruling. Bea agreed with Noonan and Paez nearly in full as the law was deemed illegitimate. Governor Jan Brewer and the Arizona attorney general are reportedly now discussing a course of action, which might result in an appeal to the United States Supreme Court. While Brewer does have a valid claim that there are illegal immigrants who have negatively affected the lives of others, she is viewing the case from only one point of view. She is neglecting the fact that millions of illegal immigrants simply work in America and take jobs that few of us would be willing to take and also become a positive part of their community. She is also not addressing the fact that there are millions of citizens who negatively affect their communities, but never get disciplined. Brewer may want to protect the people of her state, but she is going about it the wrong way. Immigration is a huge problem here where I live. I am very familiar with the law enforcement activity here as well in Texas. One side is that the crime is increasing with increased cartel activity. Obama has not responded effectively to the recent border activities..including the agent killings, attempted killings, and the rewards aoffered for agent killings. Crime groups are recruiting immigrants for crime rings in trade for smuggling them in they pay off the debt by committing crimes..including the shoplifting rings, robbery rings, and of course prostitution.